It was a real honour and a privilege being present in London today while a significant piece of sporting history was being recorded. 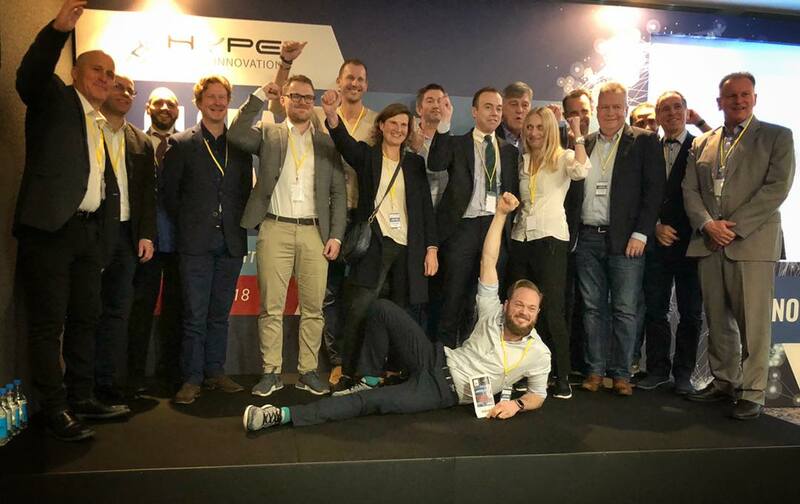 Markos Kern, founder of Fun With Balls, the German company launching the game-changing Interactive Squash product into a market sagging under the weight of its own inertia, won a major award for his visionary pitch for shaping the future of sport. Ironically, the award came from the world of tennis. 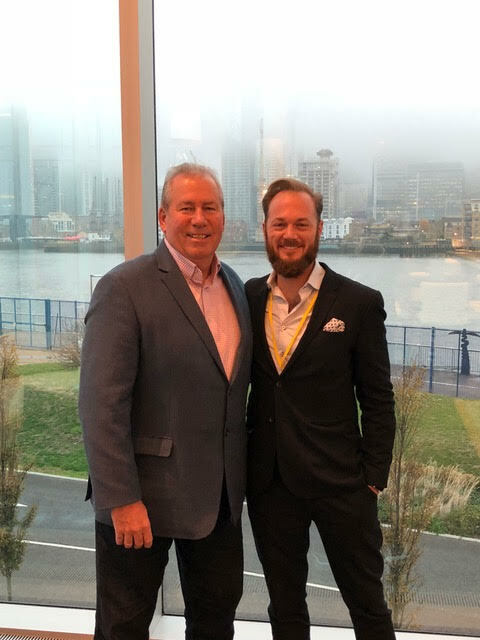 FWB were among 120 start-ups who originally pitched their ideas to the Global Innovation Tennis Summit, held during the ATP Finals at the O2 Arena and organised by the Hype Foundation. Those entries were whittled down to a provisional list of 35, and ten of those companies were invited to pitch their ideas today at the InterContinental Hotel next to the O2. FWB took the accolades after revealing the “creative disruption” they have achieved in squash. 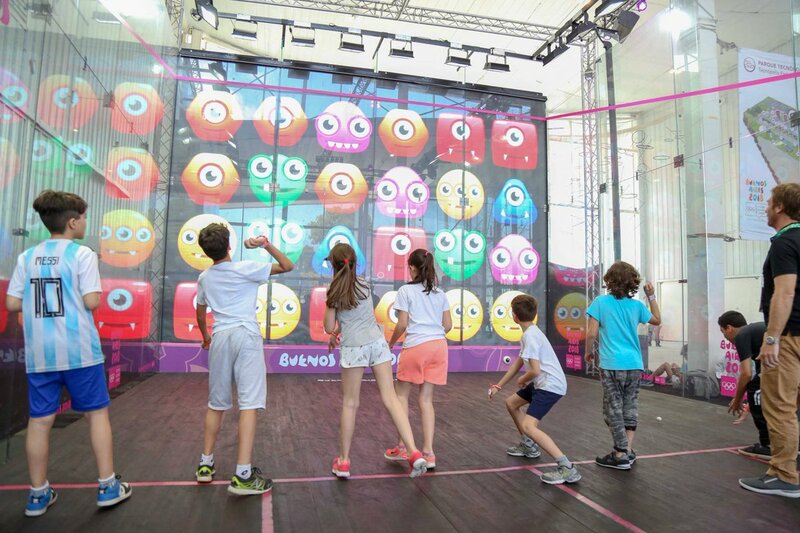 Their interactive court was a huge success during the recent Youth Olympic Games in Buenos Aires, when squash was invited to take part as one of the demonstration sports. One minute the front wall appeared to be turned into a giant space invaders frame, the next it saw flashes and explosions responding to where the ball struck the front wall. Flick another button and a more sober coaching game flashed up with tactical targets highlighted by the graphics being fed in from a projector in the roof. Its popularity was noted by the IOC. The FWB presentation also featured footage from their installation at the M Squash Club in Port Chester, New York, USA, managed by top coach Shaun Moxham. 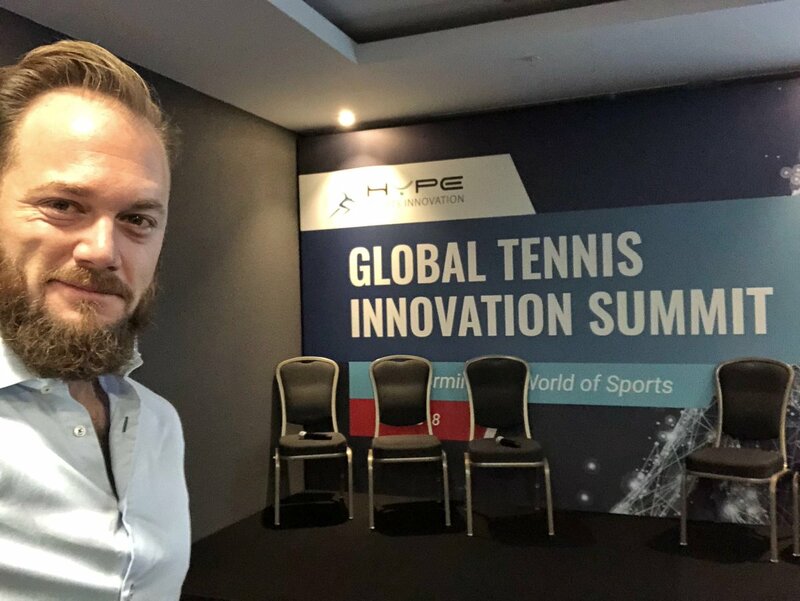 A delighted Markos revealed: “Whenever we have pitched to companies in the past, every third conversation has usually been to point out the innovations being carried out in tennis and how much squash can learn from them. “Today it was amazing to see that principle turned on its head as we displayed the work we have done in the squash market. We were pitching against some companies with a lot of experience in tennis but I am so happy that our presentation stopped everyone in their tracks. “Inspired by the global success of interactiveSQUASH, our MultiBALL system now brings something totally new to yet another leading racket sport. MultiBALL’s ultimate versatility has drawn a huge interest from the Tennis world. Kern revealed that he is in discussion with the PSA and leading tournaments about enhancing the entertainment value for spectators (and TV networks) with a number of technology-led developments. “Part of this will be based on managing the timing of matches which will make life more fun for spectators, and make life much easier for tournament organisers and TV companies. Markos and I celebrated with a pot of tea before I headed home to write this column. Markos, meanwhile, was looking forward to an evening at the ATP Finals and the opportunity to pitch further ideas to some influential tennis companies. He is aiming to work with forward-thinking clubs who can share his vision of a technology-led environment, and revolutionising the marketing of squash with some game-changing ideas for in-play excitement at every level of the game. Last night, as this article was picked up across the globe, leading figures in American racquetball were asking if similar software could be developed for their own courts. Guess what? Markos and his team are already ahead of the game and are installing their first racquetball software inside a club in Utah.